It’s been so long since I’ve written a blog post! 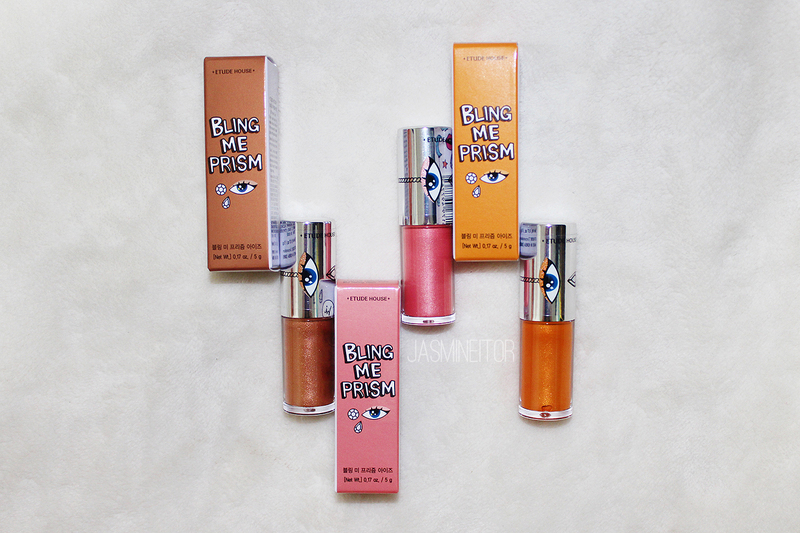 I have so much content I want to post, but so little time with my graduation exhibition coming up 🙁 but here I am with a HUGE post on Etude House’s new Bling Me Prism summer collection! 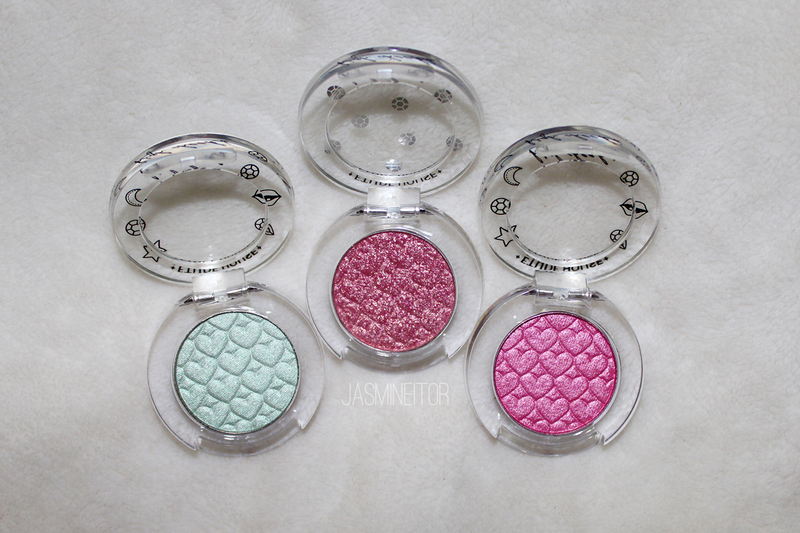 Early on I had heard a rumour that Etude House’s summer collection would be a collaboration with the trendy Korean jewelry brand, HighxCheeks, which you can check out here. I was super in love with their stuff so naturally was VERY excited to see what kind of concept Etude House would pull for this line. Etude is quite strong compared to other makeup brands in that when they do collaborations, they go all out! This line turned out to be no exception!! SO PRETTYㅠㅠ They had a special event, where if you spent 20,000won on items from this collection, you could get your choice of one of four jewelry pieces with the lips and eye motifs of the collection. As the original price of these pieces is 29,000won each, I had to get two! My only complaint is that the bracelet seems to be designed with a child’s wrist in mind, as it is so tiny. I’ve received many comments before on how small my wrists are, and even then it’s tight on me! Definitely something to keep in mind if anyone is looking into buying bracelets from this line. The ring, however, fits perfectly. 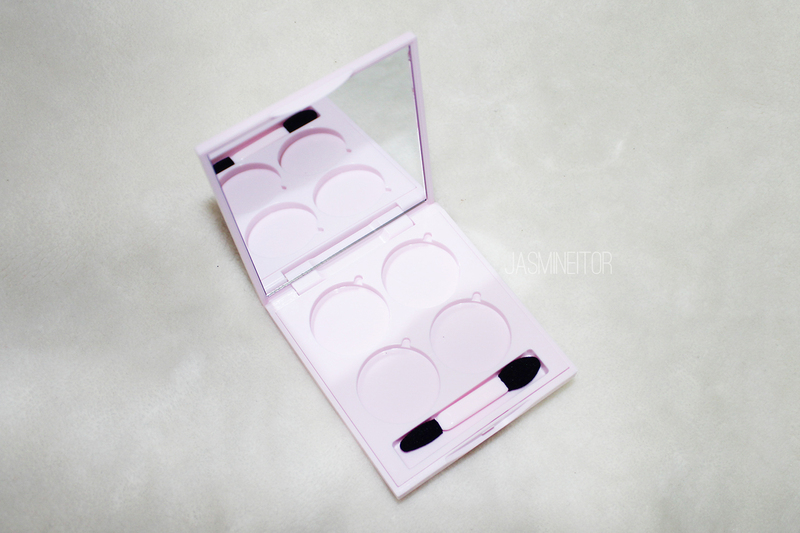 It comes with a standard sponge applicator (that I probably won’t use) and four empty spaces for Etude House eyeshadows. I’ve been told that the Face Shop and Innisfree shadows also fit perfectly in the Etude House empty palettes, as well as anything smaller as long as you’re okay with them not being snug! Naturally I needed some new shadows (I really didn’t) to fit in my new empty palette! The limited edition packaging is so cute that I almost don’t want to depot them and put them in the palette…almost. 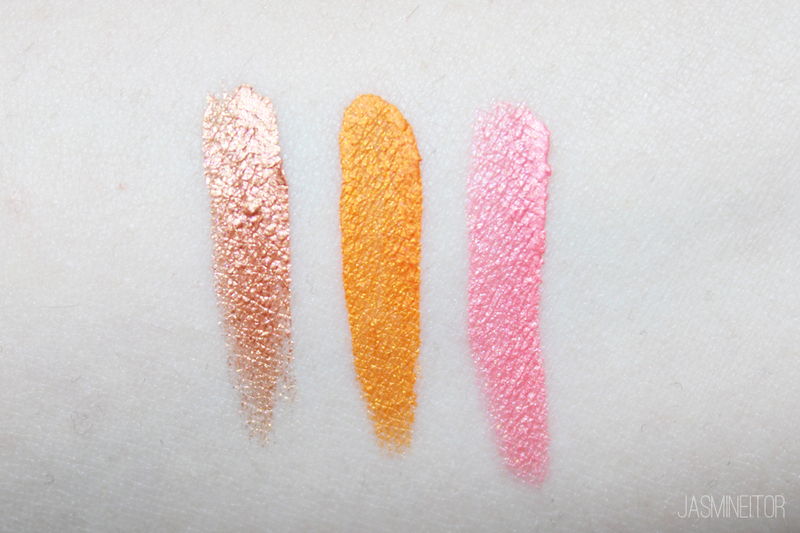 From left to right we have Milky Sparkling, Peonys Bloom, and Budapest. 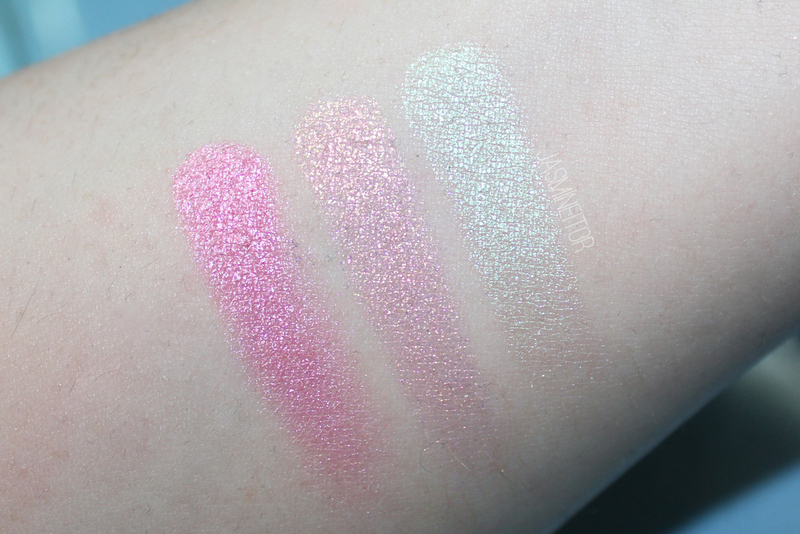 The first and last are pearl tones, and the middle shade is a more glitter tone. Next up we have the nail polishes! All of the nailpolishes in the Bling Me Prism line are duochrome/holographic, excluding the silver one above which is more of a chunk glitter. 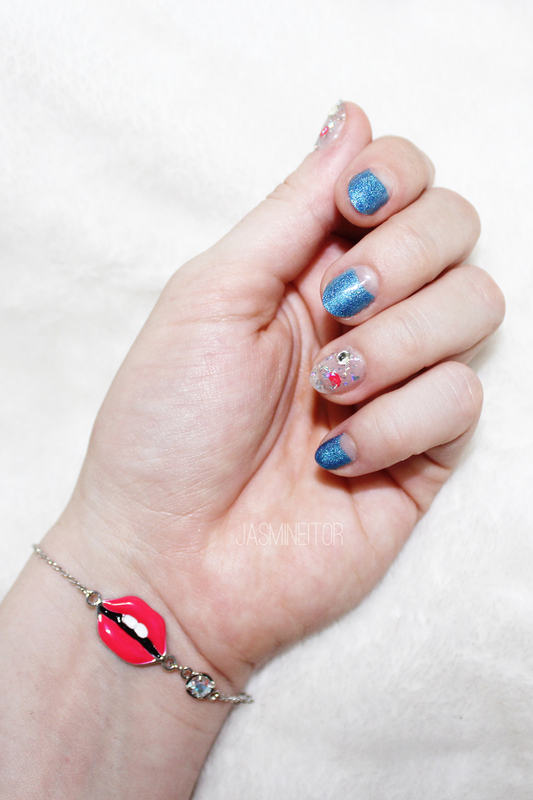 As you can see, Prism Kiss has silver chunks of glitter with kiss shaped detailing. Great for a point nail as I did here! Ultra Mercury is a versatile colour good for full nails or deep French style. 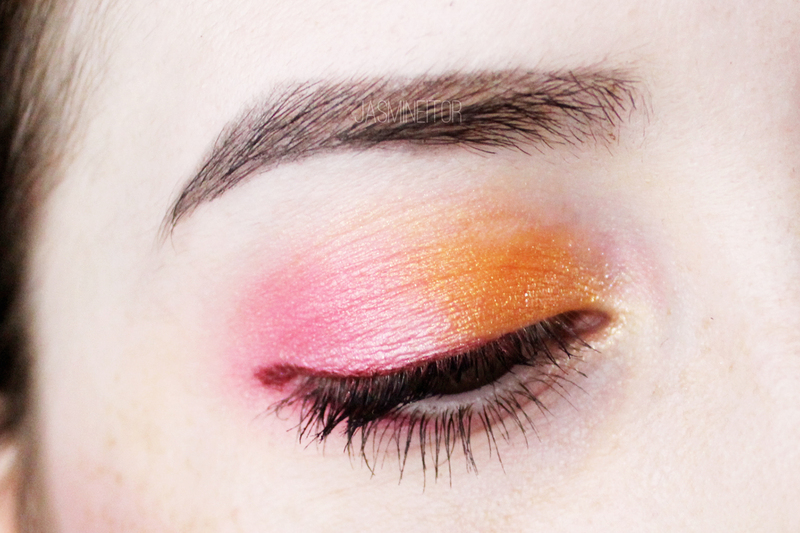 Really great colours for summer! 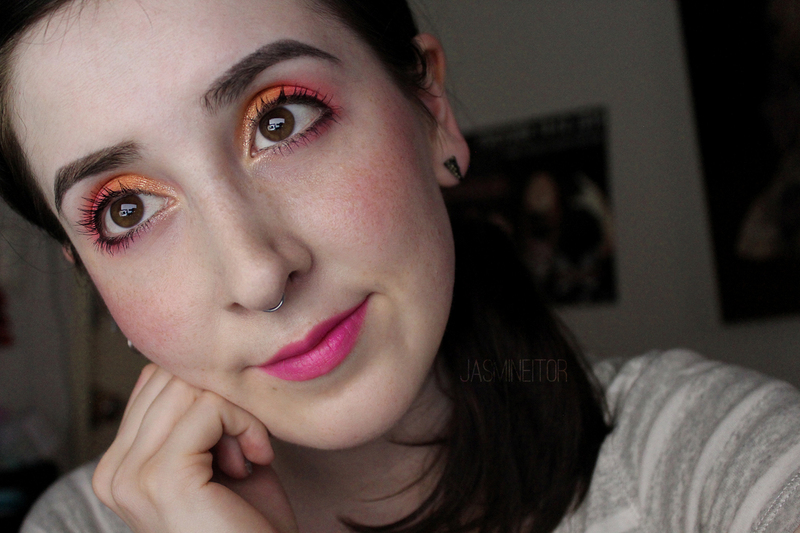 I picked up a coral, a hot pink, and a whole new shade?! Etude decided to release a shade that wasn’t entirely pigmented as the rest of the Liquid Lips collection, but instead a lipgloss-type shade. 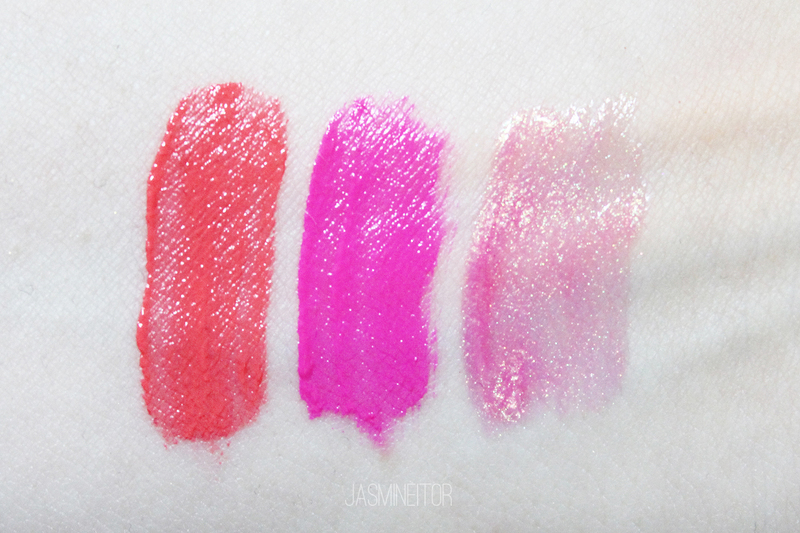 Hologram in Jewel is much less pigmented than the rest of the Liquid in Lips line but great as a shade to layer on top of other colours. 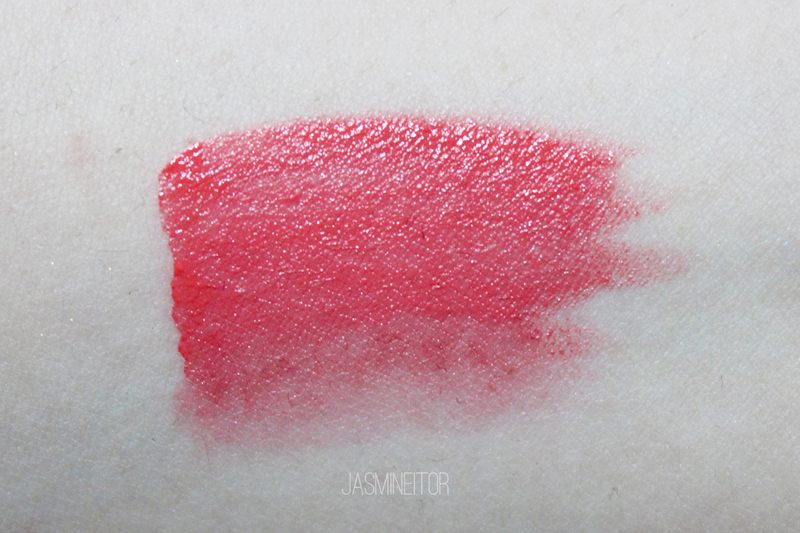 As a duochrome lip shade is something unique to Etude I was pleasantly surprised! Spangle in Coral is a GREAT colour for summer. The Liquid Lips collection has a coral shade or two, but none of them quite hit the coral hammer on the head as this shade. I would dare to say that it is one of the most coral shades Etude has carried, and is a great colour that is flattering on most skin tones. 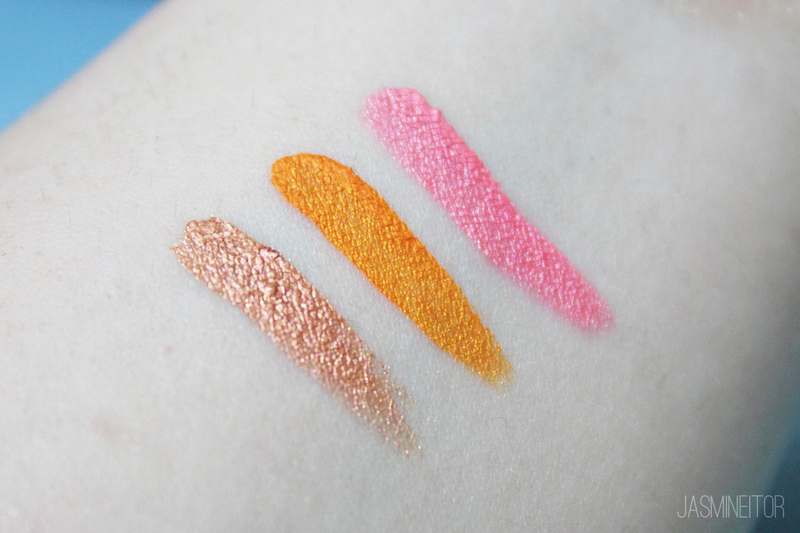 It looks slightly pink in these swatches but I find it to be the perfect balance between orange and pink! The next shade is Star in Pink! 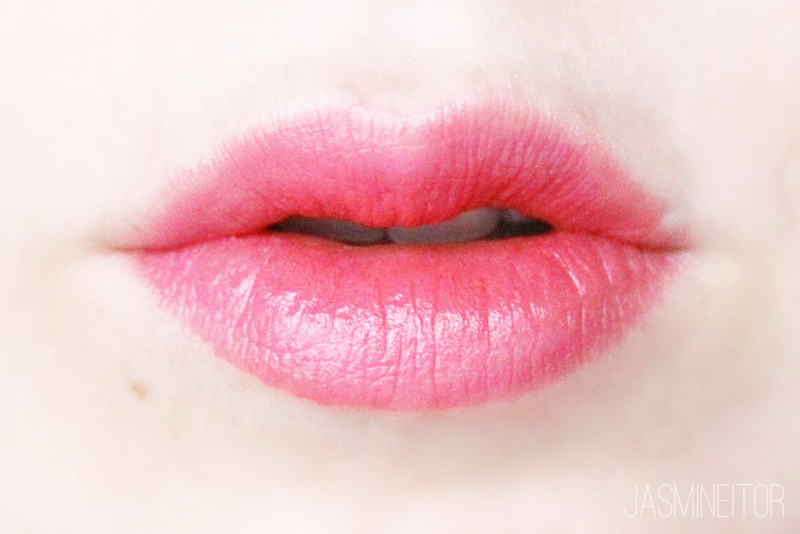 I can’t resist a neon pink, and this cool toned lip colour was no exception. 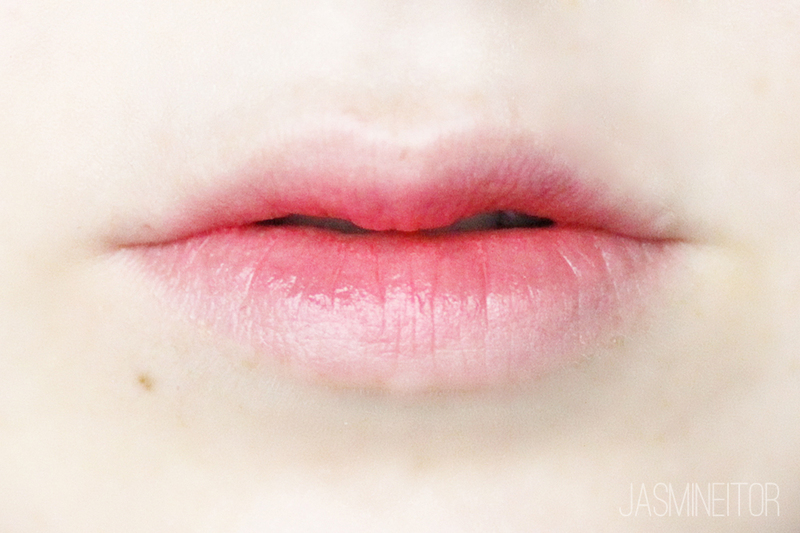 Patted lightly on the lip as a gradient or drawn as a full lip, this shade is flattering to both cool and warm tone skin types despite being a totally cool tone shade. 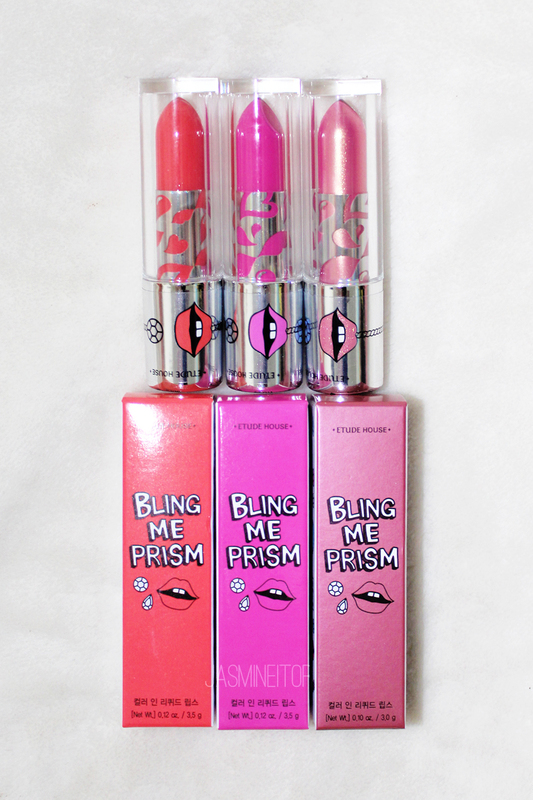 It fits the Bling Me Prism line very well in that it is a fluorescent neon colour! Very pretty. The final shade is Hologram in Jewel! 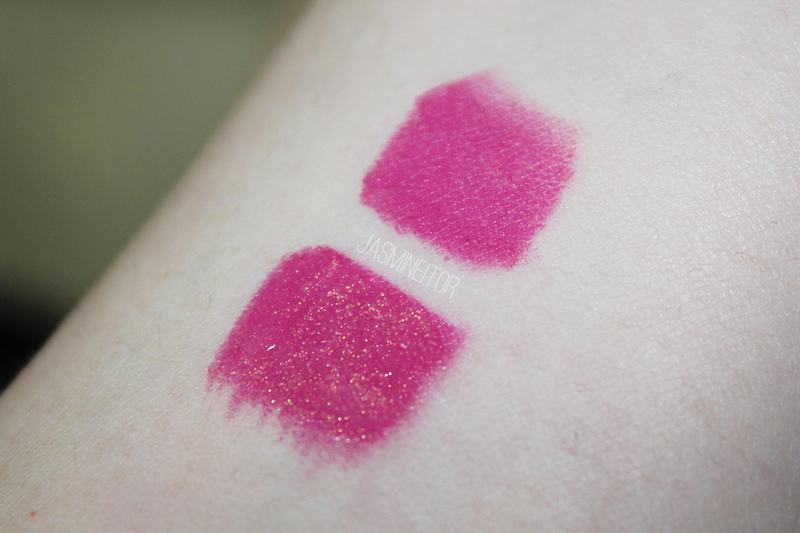 Honestly I was disappointed this shade wasn’t as pigmented as the swatches made it to be. I was hoping this was a pigmented pink with a gold shimmer, but it turned out to be a light pink sheer gloss with a gold shift. It is very pretty as a gloss, however! Then I applied Hologram in Jewel on top! 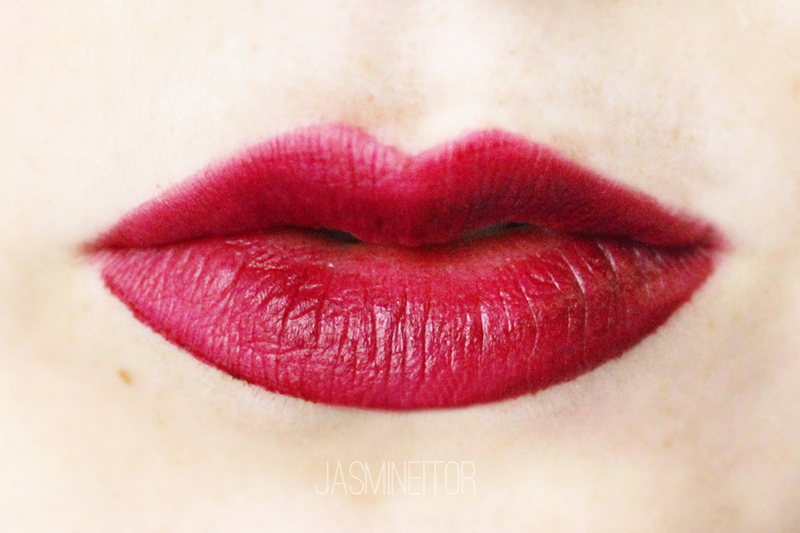 It works great as a layered colour on top of matte lipsticks, which is what I’ve been using it for. 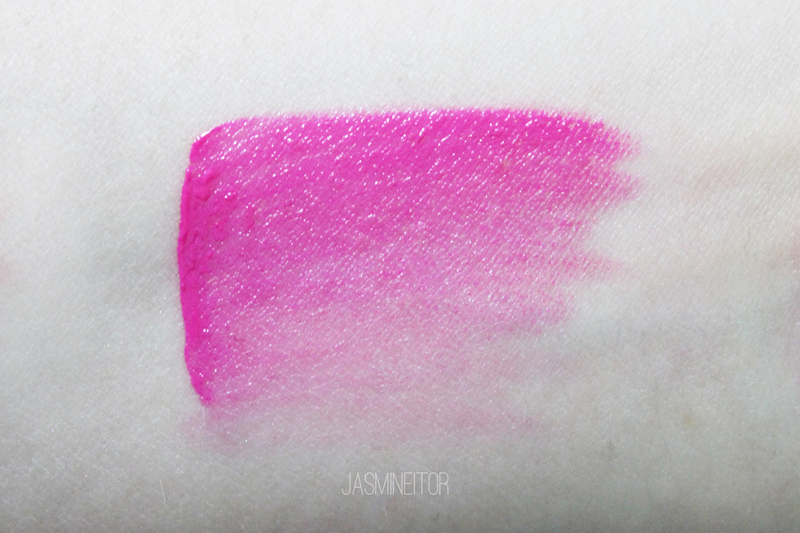 Unfortunately it is not as pigmented as I’d like for it to be used on its own, but I find that it works well as a top coat for lipsticks of all kinds! Next are the liquid shadows! 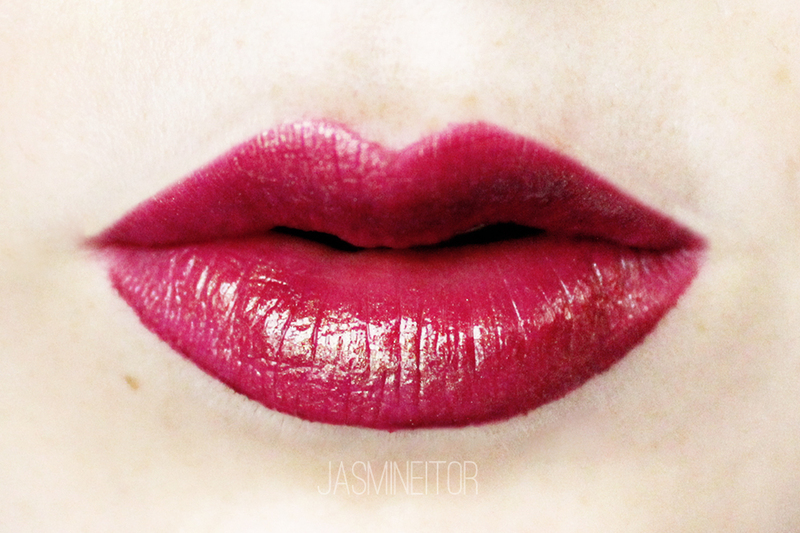 These, along with the Liquid Lips, are what I looked forward to the most in this collection. Liquid shadows aren’t that common in Korea yet, but when you can find them, the quality is amazing! These shadows can be used as a solid metallic liner, or blended out with the finger (the method I recommend) to be used a a full/semi-lid eyeshadow. As they dry quite quickly I recommend blending them out quickly! 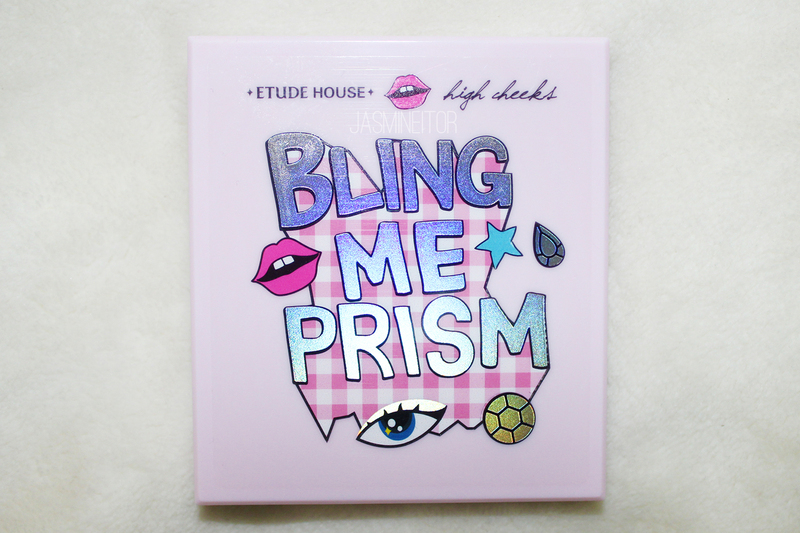 My Bling Me Prism look! Inspired by the Instragram user @mrsecon! 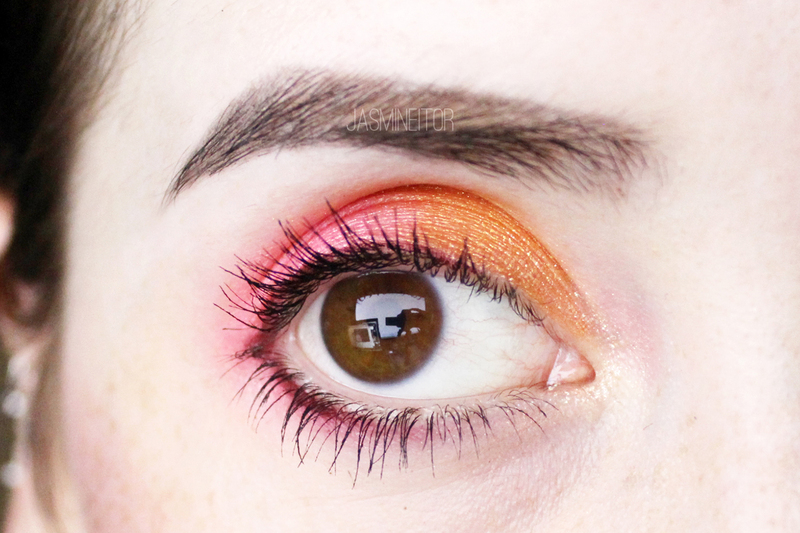 I applied this look at 3:00PM the other day, and it lasted without creasing or fading until 1:00AM! VERY impressed! I am honestly completely in love with this line! 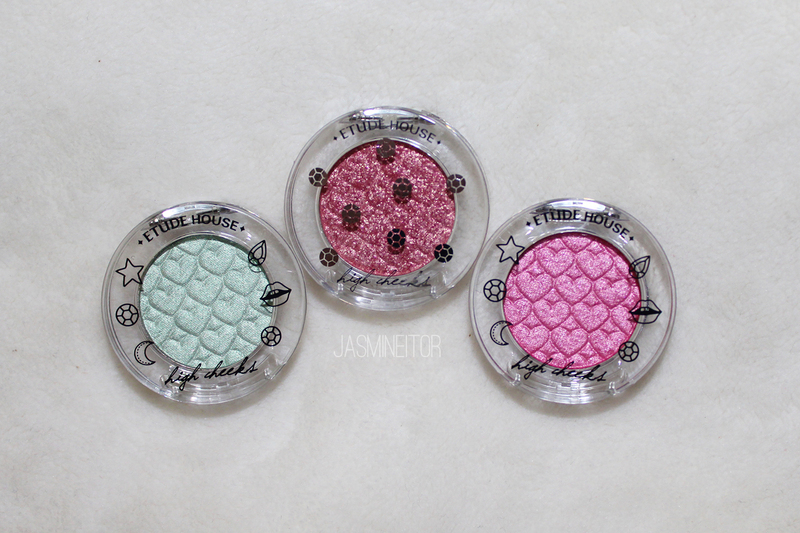 Etude House went all out with this collaboration, as usual, and it is something that completely matches my style. I love the products, and love the designs of everything! Once again Etude House delivers quality for a great price, and I am totally satisfied. Hopefully they release more liquid eyeshadows in the future as I feel those were the most high quality products of the bunch! I will be uploading a food post soon, so stay tuned 🙂 Enjoy the rest of your week!